Remember a time when you’d carry your purchases home in a plastic bag? Neither can we. That’s the power of mass behavioral change: A ‘new normal’ is ushered in and it can quickly feel as though things have always been that way. 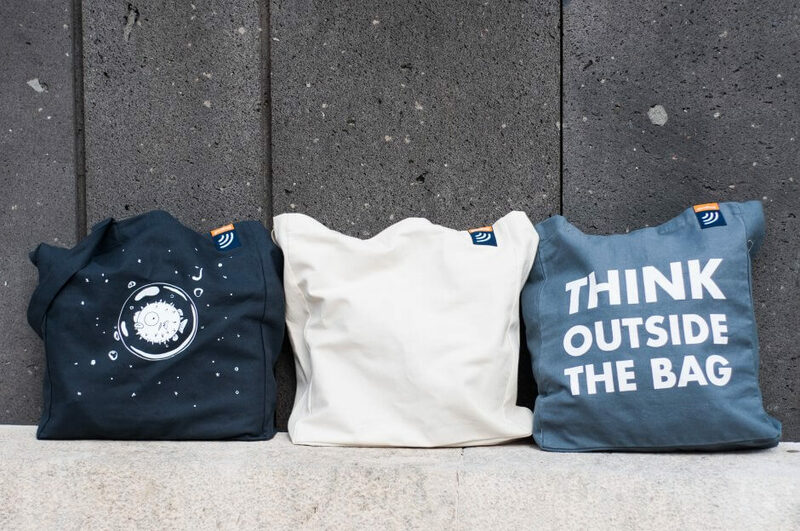 EIT Climate-KIC supported goodbag provides a fascinating example of a concept that builds on this change: Every time you bring its reusable bag to a partner store and make a purchase, you are offered discounts, free goodies or vouchers to plant a tree. You can also share your actions with others to motivate them to do the same. For the stores, goodbag is a tool to win new customers and motivate existing customers to bring their own bag. Moreover, the bags are ethically produced in cooperation with TEENAH, a social workshop in Jordan that employs women who were forced to flee their homes in Syria. goodbag participated in EIT Climate-KIC’s Accelerator stage I and stage II, which helped get the business off the ground. goodbag combines technology with the latest human decision science and behavioral economics data. This data is used to create interactive products that show users the impact of their actions and reward them for it. In addition to the obvious incentives of rewards, goodbag uses gamification and real-time feedback to motivate people to act more sustainably. Every goodbag has an integrated NFC chip. In the goodbag app or on its website, users can see all the nearby participating stores and available coupons on an interactive map. To activate the coupons, the users just have to hold their phone close to the NFC chip on their bag and choose the discount or the project they want to support. Then, they can redeem the coupon directly in-store. As an additional alternative, goodbag also offers retailers the option to scan directly using NFC-enabled payment terminals. After successfully launching in Vienna, Austria, goodbag is now working on its app and a fully automated B2B platform. This will allow the startup to scale to other European cities. goodbag will also apply to stage III of the EIT Climate-KIC Accelerator. Besides working on its own platform, goodbag is working on different projects with several companies that want to motivate their customers to protect the environment. For example, it is currently working on a project with Heathrow Airport that incentivises passengers to re-use the plastic liquid bags they get at airport security. goodbag is looking for additional environmental-friendly projects its users can support when they shop. In addition to the option to plant trees, it would like to offer users the possibility to support an organisation that removes plastic from the oceans.